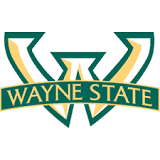 Professor Amar Basu from Wayne State University is posting video lectures from his course, BioMEMS and BioInstrumentation, offered in the Winter semester 2015. This course is an interdisciplinary graduate level course is open to students in engineering, chemistry, physics, and life sciences. It will cover the fundamentals of biomedical micro and nanosystems, with a focus on lab-on-a-chip technologies. Students will learn about the miniaturization of analytical systems used in biology, chemistry, and medicine. Topics of interest to engineering and physics students include: scaling laws and analysis, micro and nanofabrication techniques, the physics of microfluidic flow and other microscale phenomena, and computational modeling techniques. Students in life science and chemistry will appreciate emerging analytical techniques, molecular/particle/cell separations on chip, single cell assays, and detection methods. Here is a more detailed list of topics. Module 3: Micro and Nanofabrication techniques. Patterning hard materials, soft materials, and biological materials. Module 6: Detection methods. Optical, electrochemical, acoustic, coulter. Module 8: Emerging microfluidic platforms. Centrifugal, droplet, and paper microfludics. If you have any questions on this lecture or relevant topics, please feel free to contact Prof. Basu. We are looking forward to seeing more lectures released from him in the near future. Two example videos are as follows. More videos can be found from this LINK on youtube.